As a general rule of thumb, physicians are terrible at running a business... including their own practice. This unfortunate inability also extends to managing practice websites. When it comes to websites, most physicians take the attitude of "if you build it, they will come" which is doomed to failure. The better way of phrasing it would be "only if patients can find you, they might come." 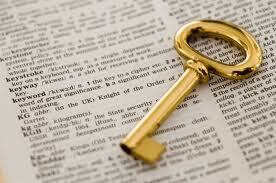 Finding you is the first step... And one important element of accomplishing this step are keywords. Let's take the medical condition "eustachian tube dysfunction" which is an annoying malady of the ear causing symptoms of clogged ears, pain, hearing loss, fluid sensation, etc. Now, if you are to build a webpage on this particular condition, there are some do's and don'ts. DO embed keywords that patients will actually use when searching about this condition. DON'T use only keywords that medical healthcare professionals will use (though it can't hurt to also include). 1) What keywords? There aren't any!!! What do I mean by "poor utilization of keyword ranking?" Google and other search engines rank some keywords more highly than others. Such ranking of keywords depends on placement within the webpage's code. • Webpage document title (typically ends in .htm or .html). This is what the webpage document on the server is actually called. • Meta keywords and description: Has become less important, but still wise to utilize. Keywords found in the rest of the webpage including the body text is not nearly as important though still taken into consideration when the above have been addressed first.